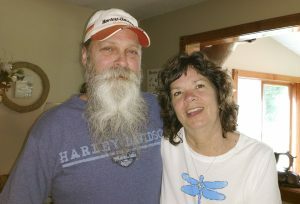 More than $7,000 has been raised through online donations and t-shirt sales to help Alderman and her husband Doug, who works at a local tool shop, pay for medical expenses. And Stange has organized a Sept. 30 community event, featuring food, carnival games, and a silent auction – with dozens of donations from local businesses – with proceeds going to the family. As a recess aide, Alderman had a special connection with children that teachers noticed. “She never thought she had the skills to be a parapro, but we saw something in her, the way she interacted with kids, the way she built relationships that made them feel confident,” Stange said. She soon flourished as a paraeducator for many reasons: she could read kids well; she made children feel safe; and she was reflective and open to feedback on how to improve her skills, Stange said.